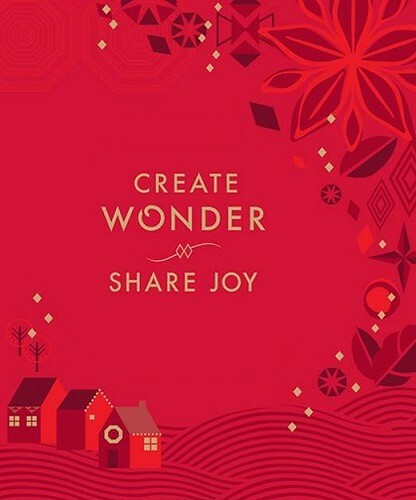 Starbucks Planner 2014 Teaser: Create Wonder and Share Joy! Join the Jollibee Bucket Treats w/ Chickenjoy Promo! Are you in the mood to create wonder and share the new found joy with Starbucks? Then it’s that season of the year when we know that the new Starbucks Planner is about to be released. Check out last year’s planners here: Starbucks Planner 2013. What can you say about Starbucks Philippines‘ Starbucks Planners 2014 teaser? It’s the most wonderful time of the year for sharing your joys and wonders this Christmas season with Starbucks Philippines’ Starbucks Planner 2014! Wow, hope to join the launching of the 2014 SB planner :p. I’m so excited already I think it’ll be pink hahaha. They’ll be launching a new design of their SB card too right? really Iana? I didn’t know about the new Starbucks Card design; only the Starbucks Planner 2014.
wow. this is certainly something to look forward to. since returning from abroad in 2011, i’ve always used the starbucks planner. can’t wait to see how they topped this year’s planner! The 2014 Starbucks Planner Philippines sticker collection starts today!